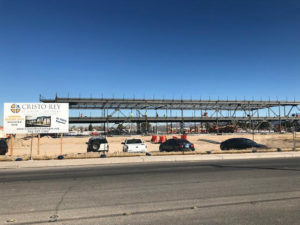 All signs are pointing up for the new Cristo Rey St. Viator Las Vegas College Prep, as it begins to countdown the months until it opens in August. 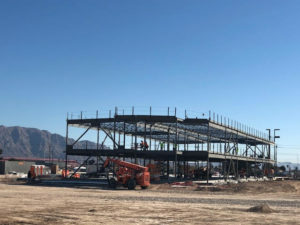 Over the last six weeks, steel girders have gone up framing the new school and administrators hope to have the building enclosed by next month so that interior work can begin. With the physical plant coming together, so are some of the rest of the pieces. 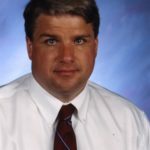 For starters, the school has secured all its needed corporate partners for its inaugural year. More than two dozen companies have committed to hiring students to help them offset their tuition, while immersing these young people in professional environments. And students are interested. Currently, the school has drawn approximately 125 applications for its 125 seats. Of those, 40 prospective students and their families have been interviewed, with 25 committed so far. “We’re one-fifth of the way to seating our first freshman class,” Schwarz adds. At the same time, school officials are drawing many inquiries for faculty and staff positions. They anticipate the hiring and interview process to begin soon. 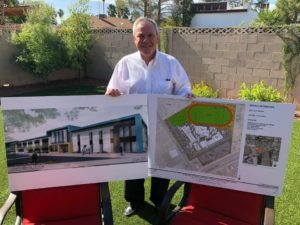 Cristo Rey St. Viator Las Vegas College Preparatory is the latest in the 32-member Cristo Rey Network to prepare to open this year. 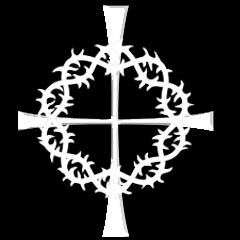 Known for its innovative work study program and college prep education, the school aims to educate young people of limited economic means to become men and women of faith, purpose and service.